New Hampshire has a good mix of suburban and rural trails. It also contains a small piece of the East Coast Greenway, a 3000-mile bike tour down the Atlantic Coast that links Canada to Key West, Florida. Our favorite New Hampshire bike trail is the Nashua Canal Trail in beautiful, wooded Mine Falls Park, Nashua. Because the trail consists of a series of loops, it’s easy to tailor the length of your route and allows you to explore new segments each time you ride it. 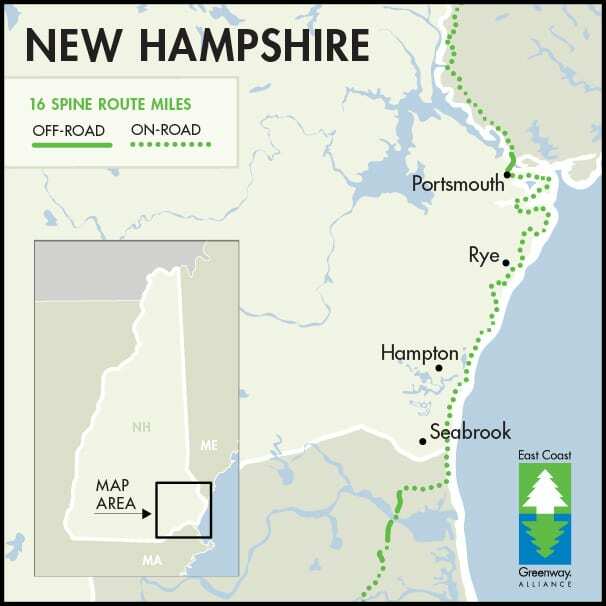 If you know of (or have ridden and created) a more accurate one-way route on RideWithGPS for any of these New Hampshire bike trails, please let us know so that we can improve this page.